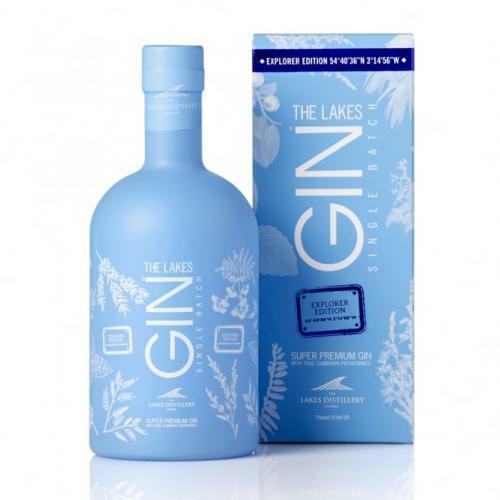 The only gin with true Lakes provenance. The Lakes Gin Explorer is the latest edition to a portfolio of already exceptional gins. A complex Super Premium Gin with zesty notes and herbal - A gin of true Cumbrian provenance. A diverse blend of 14 carefully selected botanicals, including Cumbrian juniper, and four others which are native to the Lake District National Park. Lakes Distillery's handmade copper pot still is charged with the finest English wheat spirit and our pure Cumbrian water, sourced from the River Derwent. The botanicals are carefully measured into the still and steeped overnight to extract the essential oils. The following day the steam is gently introduced and a long slow single batch distillation commences. We recommend a slice of pink grapefruit to highlight certain nuances of our uber complex gin.